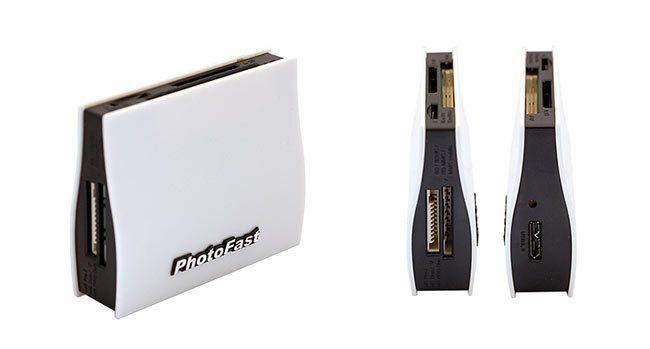 Photofast has juts unveiled it latest high speed USB 3.0 card reader the CR-8600 thats been designed to accept a huge range of memory cards into its 5 card slots and supports: Windows 98, ME, 2000, XP, Vista, 7, Mac OS. The CR-8600 card reader offers a Seqeuntial speed read of 84.01MB/s on SDXC UHS-I card or 96.75MB/s on UDMA7 Compact flash cards. The new USB 3.0 reader support and array of cards including: CompactFlash, SD, SDHC, miniSD, microSD (T-Flash), MMC, RS-MMC, MMC-micro, MMC-mobile, MS, MS Duo, HS MS, MS PRO, MS PRO Duo, MS PRO-HG, MS PRO Micro, xD, SDXC UHS-I, Memory Stick XC.